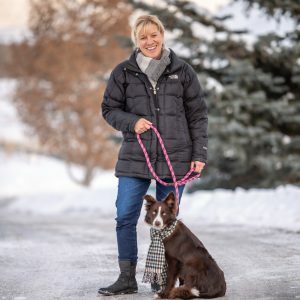 Annie, Mountain Humane’s Director of Development, and her husband Brian recently moved to Hailey, after vacationing here for nearly 40 years. She joined the staff in January and brings almost 40 years of non-profit experience. Annie started her career in development and special event fundraising, and later served several institutions close to her heart as Executive Director and as a Board Member. Annie will oversee the dynamic fundraising and event staff of Mountain Humane, and is excited about connecting with members of the Wood River Valley community who share a deep appreciation for the special mission of Mountain Humane. Annie and Brian have two grown daughters and a new rescue puppy “Eddie” (promptly named after Super Bowl LIII MVP Julian Edelman). Whether on vacation or an afternoon outing, Annie and Brian can be found exploring scenic back roads, mountain off-roads, and rock crawling in their modified jeep.